Well done, we have a winner! The bridge is only accessible to Festival staff and ticket holders, so the only way a member of the public can cross the bridge is by buying a Festival ticket. I've no idea how much they cost, but I know it's more than a single from Stratford International to Ebbsfleet! Thank you! £205 for a weekend ticket on Ticketmaster (plus £8 delivery fee). Although once you've bought the ticket you can presumably cross the bridge as often as you like. Anyway, what's the answer to my question? What's the lowest price you can be charged for crossing the Thames, while still having to pay? And where is it? No - that's £1. Less than that. You could enter the London Marathon ballot for 2018 for £39 (though entries are now closed), and you could choose to donate your fee to charity meaning the fee was not returned even if you were unsuccessful. In both 2016 and 2017, roughly 250,000 people entered the ballot and about 17,500 were successful. Assuming the above rates continue and that you enter every year it would cost you about £557 on average to get a successful entry. The London Marathon route includes running across Tower Bridge. The next bridge upstream from the Reading Festival bridge is Whitchurch Bridge. 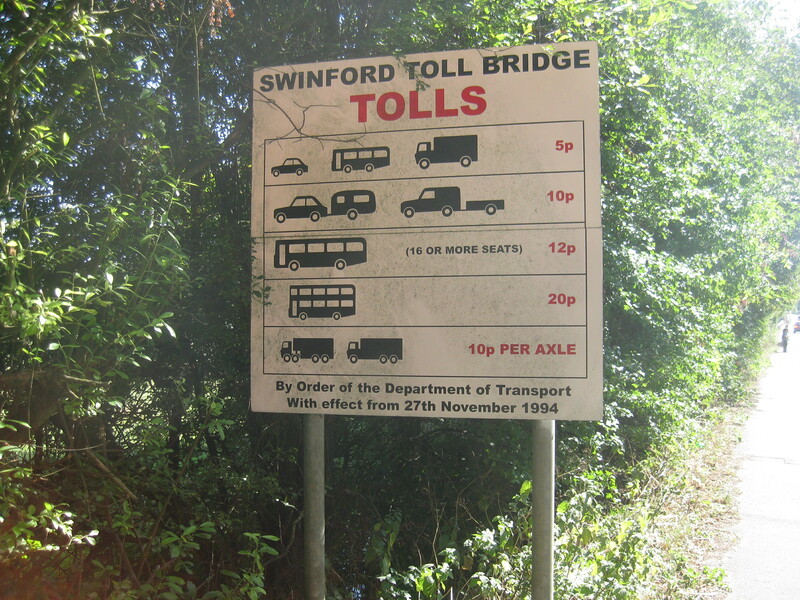 It has a toll of 60p for cars. True enough - but you could cross the Reading Festival Bridge for nothing by getting a job there. Or, even better, by performing there! Maybe the answer should be one of the motorway bridges which require you to buy, tax and insure a car as pedestrians are not permitted? If we're going down the route of that sort of thing, a bridge that doesn't exist yet, which will cost millions to build! That could be said of pretty much any crossing - Tube/train drivers, ferrymen etc get paid to cross their respective crossings. I was thinking in terms of members of the public (e.g if someone was attempting to do all the Thames crossings in the shortest time). You can cross that for nothing - as I have - on foot.